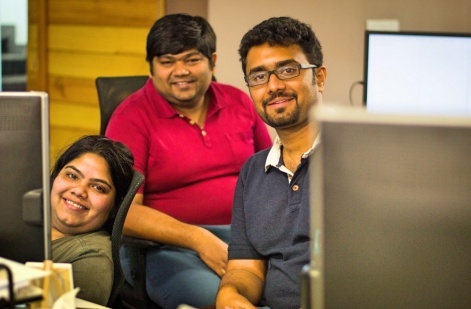 2017 has been an eventful year for Indian mobile games studio Mech Mocha. 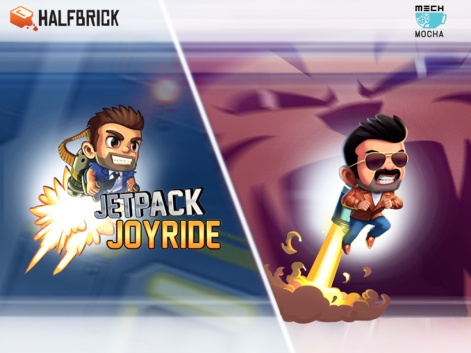 After hitting $5 million in series A funding in April, the firm announced in June a partnership with App Store stalwart Halfbrick to localise Jetpack Joyride for the Indian market. For the Indian release, Mech Mocha explained, the game would be significantly reworked - far more than just a new lick of paint. With its debut release, Chhota Bheem Himalayan Game, the studio proved its ability to appeal to Indian players by beating out international competition and topping the Indian Google Play download charts. And since then, CEO Arpita Kapoor tells PocketGamer.biz, there has been no shortage of overseas developers seeking Mech Mocha's help to get in on the ground floor of an Indian mobile games market so ripe with potential. Indeed, she explains that localisation for international developers had been a key part of the firm's strategy from day one, but the plan was to be patient and wait for the right opportunity. That came after an encounter with Halfbrick CEO Shainiel Deo at San Francisco's Game Developer's Conference. “As our first partnership, we wanted to work with somebody who's a developer at heart,” explains Kapoor. We worked to create something that stands as a benchmark for how localisation should be done. “It was less about the game and more about the partner. Halfbrick felt like a great partner to work with because the team focuses on quality a lot, and is a much smaller, more democratic company to work with than any public company. Jetpack Joyride was always the first choice for Mech Mocha among Halfbrick's portfolio - although Kapoor doesn't rule out working together on others, such as Fruit Ninja - having identified “a lot of potential which is not met in India”. In its original guise, Jetpack Joyride was set in a science lab and starred a struggling salesman called Barry who happens upon a jetpack as a means of escaping his mundane life. Deciding that this wasn't as attractive to Indian players, Mech Mocha has overhauled the “core emotion” of the game to create an entirely different protagonist. “Barry has become Barrykanth, and he's a don,” explains Kapoor. “He's very young and self-made, he's not doing alliances with other dons, and that's why everyone hates him. But with Mech Mocha disappointed by previous localisation efforts for India, Kapoor is determined to go further than this. We are building a technology platform with which you can publish your games in India. This is key to Mech Mocha retaining its identity as “a pure developer/publisher at heart”, and not merely a publisher or distributor. “As India grows, if we are at a point where it is a gold rush and everyone wants to come to India, we are building a technology platform with which you can publish your games in India with Mech Mocha without too many people on our side needing to be involved,” says Kapoor. She adds that the firm has learned from a major pitfall identified by some Chinese companies in the early days of West-to-East mobile game localisation, which was that it wasn't always wholly transparent to the original developer how the localised version was performing and being handled. 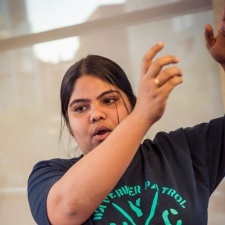 Kapoor is also keen to emphasise that “generalising the need for localisation is something I don't want this market to do,” and that Mech Mocha will only take on projects it feels will genuinely benefit from its involvement. For instance, Subway Surfers is a game that's found worldwide success and regularly charts highly in India. "There's not a lot I can do to that game to localise," she considers. Another strand to the localisation process is monetisation, which is in itself a can of worms that the Indian industry still has to disentangle. "Purchase behaviours will be driven quite a lot by what people are willing to pay for,” says Kapoor. “Are they willing to pay to compete, will they pay to cut short a timer? With interest in India from overseas reportedly increasing, whether through localisation or other means, it remains to be seen whether these questions will be answered first by Indian companies, or foreign developers looking for global expansion. But with its free-to-play gaming maturity, Kapoor believes that moves from China into India could be the ones to watch closely. And if Mech Mocha has its way in establishing itself as the go-to partner for Indian localisation, the studio could well have a hand in that.